Chat has been added! Scroll down and join the live discussion. Strayfe, Dragoni24 and Cait like this. I'm ready to 60/60 Yuri/Papa/Layle/Wakka tomorrow! edmeta1core and Cait like this. YatoGXY, Epsilon, SirIgnis and 2 others like this. Thanks for the vid and congrats on your new place!! Cait, Soulfire and I Cry 4 Claire like this. Great job! That's so cool that you used Steiner! Could you please put this up in the Video thread section also? (so more people can see it.) Much appreciated for sharing! Been playing Langrisser Mobile lately. Loving it, and its a huge nostalgia trip for me! Already pulled a few of my fave chars too! Epsilon, Orlandeau, Meruem and 2 others like this. Wow, you like Bartz? 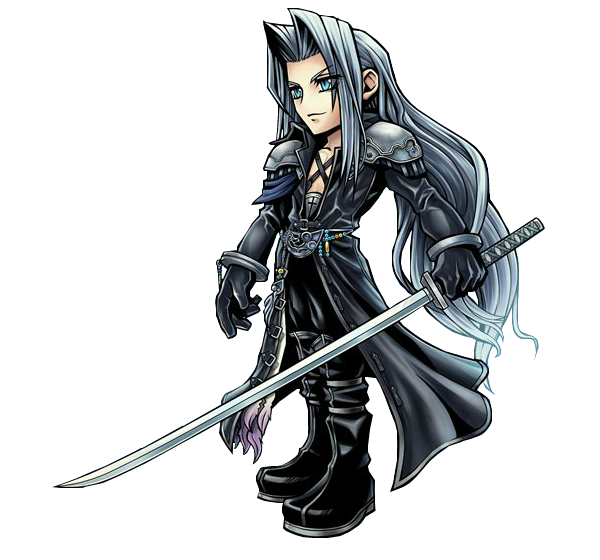 Too bad his EX attack isn’t like the original Dissidia where he summons a bunch of blades and merges them to strike! I don't mind Bartz, he's cool sauce and his kit is handy in DFFOO. I know his EX isn't flashy or cool, but it definitely adds a lot to his kit, and would like it for eventual rework. Ashe LC complete with all score rewards! Made a vid, will post within the next 24 hours or so! Focus and Dragoni24 like this. Krile LC complete, all score rewards claimed. Thought the carry Krile mission would be difficult but Seymour's 15CP MLB stick was enough! Mist and I Cry 4 Claire like this. Lothadric, Yourigath, Epsilon and 1 other person like this. Definitely agree! Its a neat EX that lets you do some really great team setups currently. I Cry 4 Claire, vinmos and Epsilon like this. I didn't realise it was a half price banner! Epsilon, I Cry 4 Claire, Orlandeau and 2 others like this. How tho? lol. I got wrecked. Awakening first batch haul...Shantotto 35CP in half off multi, Firion 35CP in tix, WoL 35CP in multi! Super baller! Meruem and Sigmund like this. Rydia set as support currently! Use her to help with your EX runs at her event and Cid's! Triple 108atk passives so enjoy! Meruem and SirIgnis like this. Epsilon, Sigmund and Afnan like this. Free pull gave me two cyan 15cp and one cyan 35cp. Aarolei and Epsilon like this. Awesome luck! :D A wakka 15 over here on free pull. You win some, you lose some it seems. Wow! I just got a Cyan 15, which was a little disappointing, but hey, free power orb! Faris 35CP from 1/2 pricepull. 10x Tix yielded final Lenna 35CP + Zidane 15CP! 35CP's for all Dispellers and Lenna is #5 full MLB char! Wolvie, Epsilon, Yourigath and 3 others like this. I had TWO 35cp Faris on that half pull. Made me MLB it. Yay! Nice! When that Tycoon Pirate first showed up, I was only given her 35CP weapon (forgot how much I spent on that banner). It took 7.5K gems on her LC banner to get her 15CP weapon. I Cry 4 Claire, Aarolei and Deathazuma like this. SirIgnis, Mist, I Cry 4 Claire and 3 others like this. 10 Tix: Noircalibre. Half off Pull: Chocoblade. Another multi: 4/11 - Noircalibre/Laguna 15/Edgar 15/Edgar 35. Good haul. I Cry 4 Claire, Afnan and Sigmund like this. Mist, I Cry 4 Claire, Sigmund and 4 others like this. Cool! I landed Vincent's 35CP weapon when Chapter 7 came out. Congrats! Beat Quistis EX with Tidus/Papalymo/Sazh with Vaan friend support and Brothers summon on first try! Urges to pull tamed, 30k gems...almost! vinmos and Wolvie like this. Note to self: you have 25k but don't goof up and pull wildly on any upcoming banners till Lenna.